We ran into these black roof stains quite a bit down in the deep south… Florida, Alabama, Mississippi, etc. This great article from Mike Hudecheck explores the problem and how to solve it. If you’re serious about starting a roof cleaning business, look for an eBook that tells you step-by-step how to build a low-pressure roof cleaner and start making a profit quickly. They cling to your roof and build their colonies. Chlorine Bleach and Oxygen Bleach will work well…with a little help. Cleaning your roof can save you from making more expensive repairs later. Black Stains On My Roof - What Are They And How Do I Get Rid Of Them? The stains on your roof are caused by the build-up of natural pigmentation produced within the cellular structure of a type of cyanobacteria, known as Gloeocapsa Magma, an impressive name for a most primitive life form. Cyanobacterias are single-celled blue green algae that produce their own energy through photosynthesis. So, to survive, all they need is carbon dioxide, water, sunlight, a bit of additional "food" and a good surface on which to cling. Gloeocapsa Magma spores can be found floating in the air throughout most of the world. They simply settled on your roof where they found the perfect environment in which to live and propagate their kind. They found carbon dioxide in the air, water trapped in the granules that coat your shingles and even within the filler material that makes up the shingles themselves, loads of sunlight, food in the form of the calcium carbonate (limestone) filler in your shingles, and a good rough surface on which to cling and build their colonies. With everything that they need to survive available on your roof, why would they leave? Oh, how I wish there was a simple answer to this. As with any cleaning process it comes down to mechanical action vs. chemical action, or some combination of the two. OK, you can get up there and scrub the stuff off, or get out a pressure washer and blast away. You're likely to be rather successful at removing the material on the surface, but you'll be left with lots of living organisms that have hidden amongst the shingle granules and within the filler material. You'll probably also blast away a fair amount of the protective granules and open previously unharmful surface cracks in the asphalt in which the granules are embedded. You may have just voided any warranty and guarantee that you held on your roof. A much better method is to apply a chemical agent, allow it time to do its thing, and then rinse it off. There are two basic types of chemicals that are typically used, both are forms of bleach. Chlorine bleach (Sodium Hypochlorite Bleach) and "Oxygen" bleach. Oxygen bleaches have gotten a lot of attention lately because they are not particularly caustic and are gentle on your shrubbery. Most of the roof cleaning agents that advertise themselves as being plant friendly contain these Oxygen bleaches. The problem with these chemicals is that they are simply too gently to kill the algae. Let's face it, cyanobacteria are basically single-celled plant life. If your cleaning agent is safe for the plants around your home, how is it going to kill the plant life on your roof? Chlorine bleach, the liquid stuff in that bottle on top of your washing machine, is a great cleaning agent. It will kill the bacteria on contact and will penetrate deeply into the colonies wiping out most individuals. It is, however, extremely caustic and will, if not protected, kill those expensive shrubs and other plant that you have so lovingly cared for around your home. So, which is the best method? There is no one agreed upon "best" method. Most of the franchised contractors that you'll see on the internet (Roof Shampoo, Roof Stain Doctor, etc...) use some form of Oxygen bleach. They'll get most of surface staining. You'll be immediately impressed. They'll get their money. Next year you'll have stains again. Pressure washing companies will blast away. You'll be impressed. They'll get their money. Next year you'll have stains again. You've probably guessed where I'm headed. The Asphalt Roofing Manufacturers Association in one of their Technical Bulletins recommends using a solution of Chlorine bleach, TSP (trisodium phosphate) and water. What should you do? 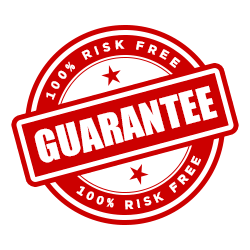 Start by calling a roofing company that carries the guarantee on your roof. They may well offer this service and if not can likely recommend someone, or at least some method that will give you the results your seek without voiding any guarantee or warranty you may have. Don't know your roofer? Contact the manufacturer of your shingles. They can offer a list of contractors and or methods that will not affect your warranty. Not worried about a warranty or guarantee? Get estimates from several contractors that offer this service, ask a lot of questions, do some research on the Internet. Become an informed consumer before wasting your money.